Anyone can not only see your search history, but they can go to the sites in which you have been and possibly steal your data. The information gets stored on your iPad and eats up valuable memory in the form of cookies and temporary files. Therefore, in order to keep your system working well and protect your privacy, it is essential to know how to clear Google search history on iPad daily. Apple makes it extremely simple to clear Google search history on iPad. The idea is to clear your browser history, in turn, clearing all cookies and temporary files. Here are the methods on how to clear Google history on iPad. Clearing your search history in Google is a great way to keep your iPad secure while allowing it to work at its optimum capacity. However, the data may still be restored in the future, leaving you as vulnerable to hackers and viruses as you were before clearing the search history. The iMyFone Umate Pro software can fix this problem by allowing you the ability to erase Google search history iPad permanently. 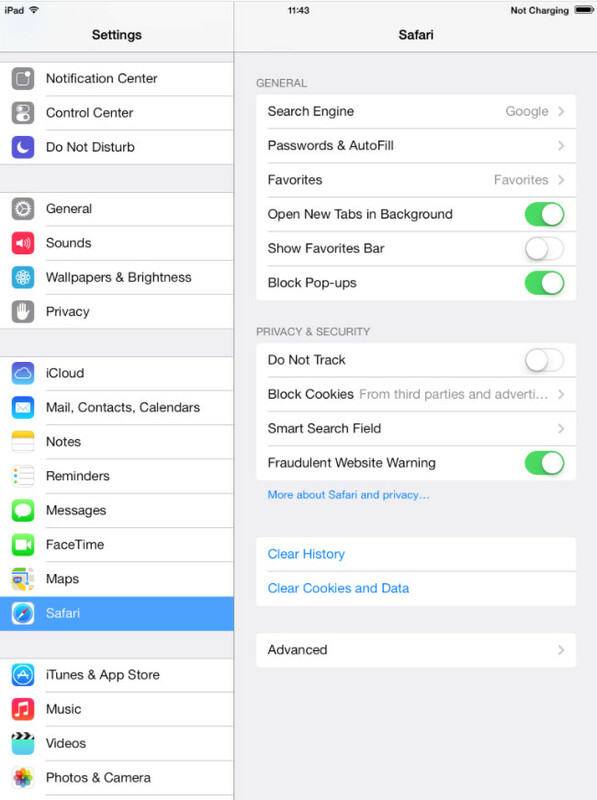 The iMyFone Umate Pro or iMyFone Umate Pro for Mac offers three ways to clear search history Google ipad permanently. 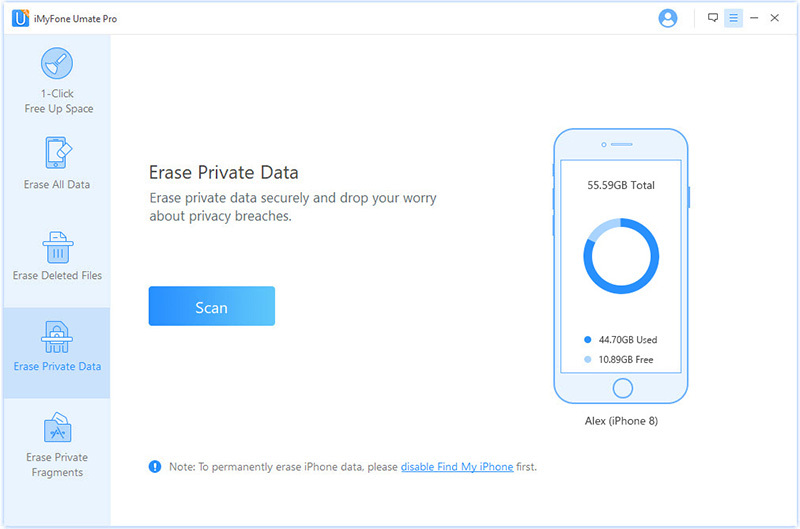 The options include, “Erase All Data”, “Erase Deleted Files”, and “Erase Private Data”. Erase All Data allows you to remove all of the data from your iPad beyond the limits of the factory reset. This will set your iPad back to its original modes and programs without your personal information available, or restorable. 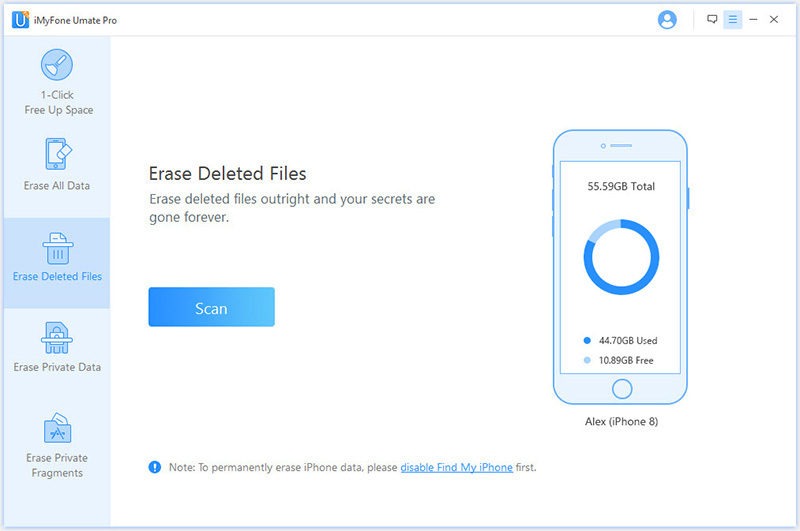 Erase Deleted Files allows you to erase many deleted files, including browser history that you “deleted” in the past, and some hidden locations only programmers know exist without any chance to be recovered. Erase Private Data removes almost every data deemed private and destroys it, making sure this data can never be recovered. You can erase not only current Safari history, but also the history you already deleted on your iPad by using Umate Pro. Just follow these simple steps. Step 1. Download iMyFone Umate Pro, install it on your computer and then connect your iPad to it. Step 2. Select the “Erase Private Data” mode. Note: If you want to erase previously deleted Safari history, pls select the “Erase Deleted Files” mode. Step 3. Choose the Safari History, preview and select the data that you want to erase and then click the “Erase Now” button. 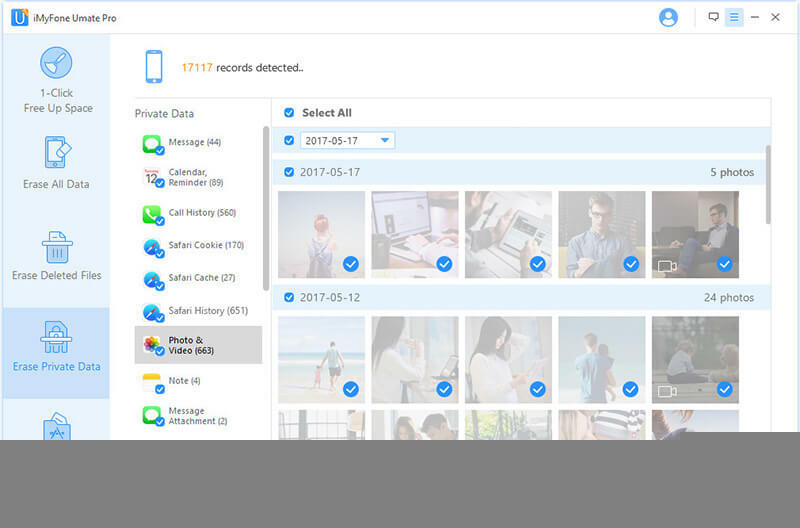 iMyFone Umate Pro offers the abilities to clear your data, erase all deleted files, and backup your data safely and securely even for your iOS 12 device. This includes cookies, temporary files, photos, and even personal information, such as notes, map details, and proprietary data. It is a safe, secure program that allows you to connect your iPad to your computer and quickly, easily, and efficiently, protect your data and remove information from your iPad permanently, without the possibility of restoration. If you are only running Safari, the option is built into the iPad through settings. This way is also for iOS 12 device. Step 2: Go to Safari. Step 3: Click “Clear History” on the right. This will allow you to clear the entire search history, so that it can also clear Google search history iPad, leaving your iPad clean of any cookies and temporary files. If you are using Chrome, you can delete the history through the Chrome App. Step 2: Click the top right 3 bars button. Step 4: Select the items you wish to clear. 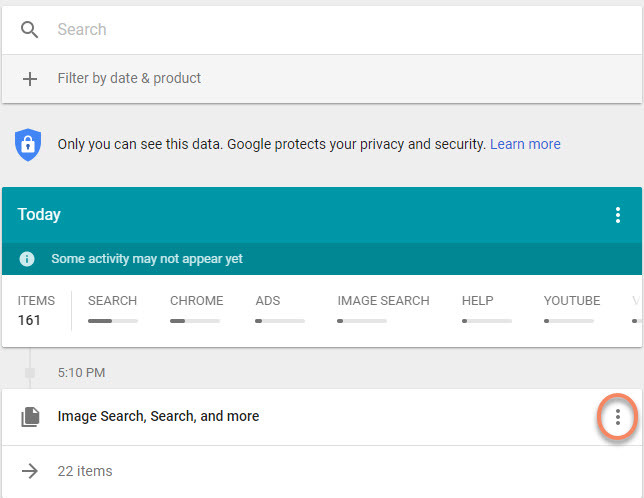 Step 5: Click “Clear Browsing Data” and confirm again, then tap "Done" at the top right. This will enable you to clear google search history on your iPad. This method can be used on any browser to delete Google search history. Step 1: Open any browser you use. 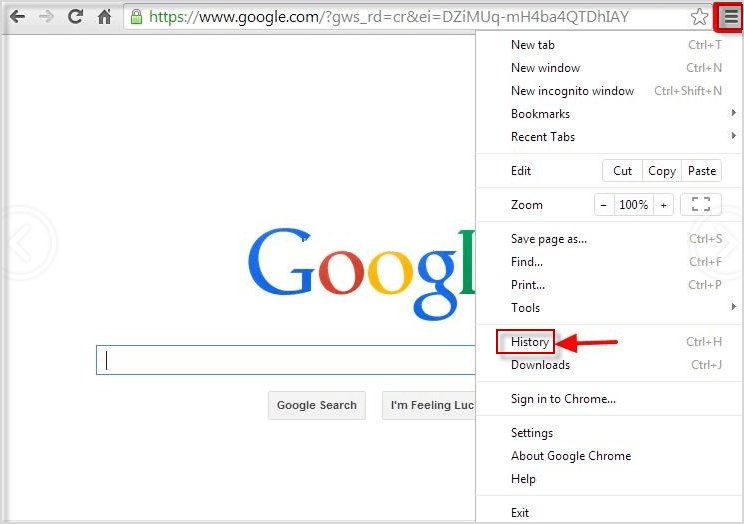 Step 2: Enter "history.google.com" in the address bar of the browser. Step 3: Log in your Google account and you will see "My Activity" list. Step 4: You can choose to delete each history by clicking the right side 3 dots button and click "Delete". 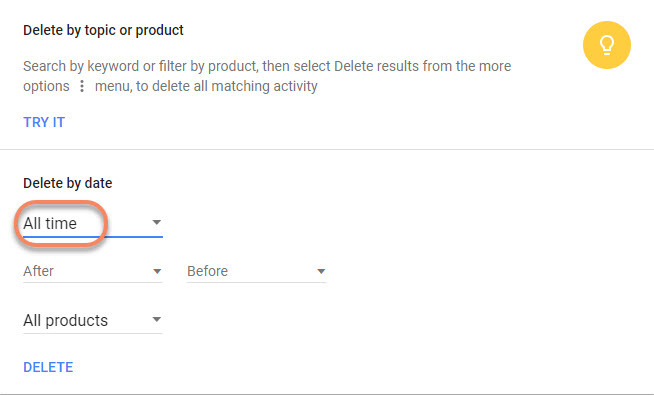 Step 5: Or click "Delete activity by" on the left side bar to delete history in batches. Step 6: Below "Delete by date," select the Down arrow Down Arrow and choose All time. Then click "Delete".